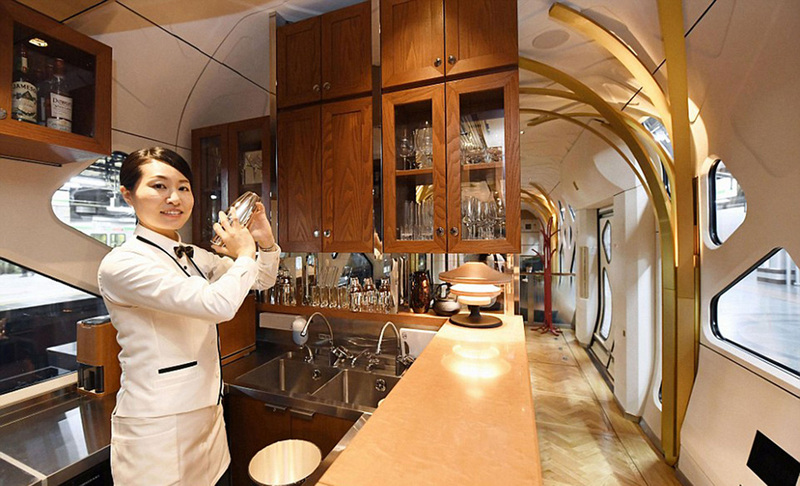 Japan’s luxury train suite Shikishima (a coined word meaning “island of four seasons”), has been dubbed the world’s most luxurious mode of public transport. The train has just taken its maiden voyage, with speculators calling a voyage on the vehicle “the ultimate travel experience.” The train’s aesthetic has been dreamed up by Ken Kiyoyuki Okuyama, the automotive designer behind the Ferrari Enzo and P4/5 along with the Maserati Quattroporte, and brings the elegant physique of a supercar to public transport. 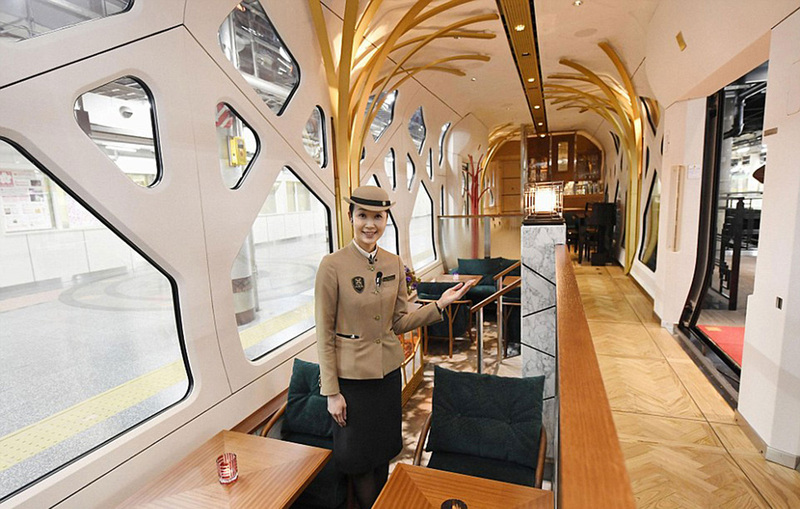 With dome cars, large geometric windows and a plush sofas, a trip on the rain suite Shikishima is comparable to a luxury cruise. 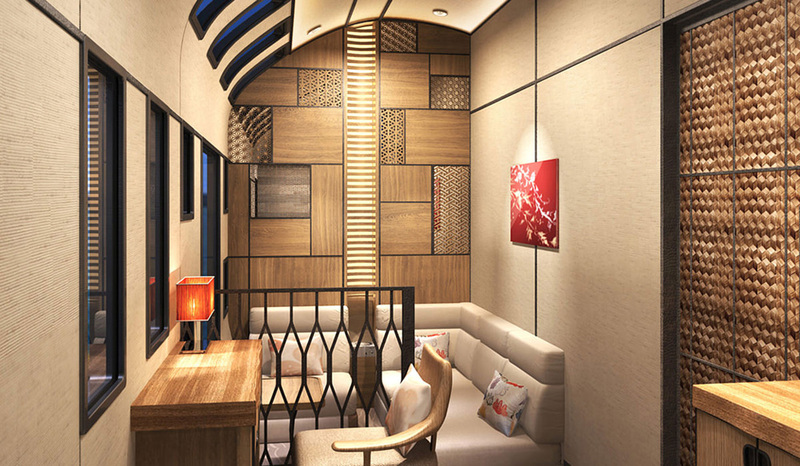 Decked out in traditional materials such as wood, “washi” japanese paper and japanese lacquer, the 10-car train harks back to its heritage. 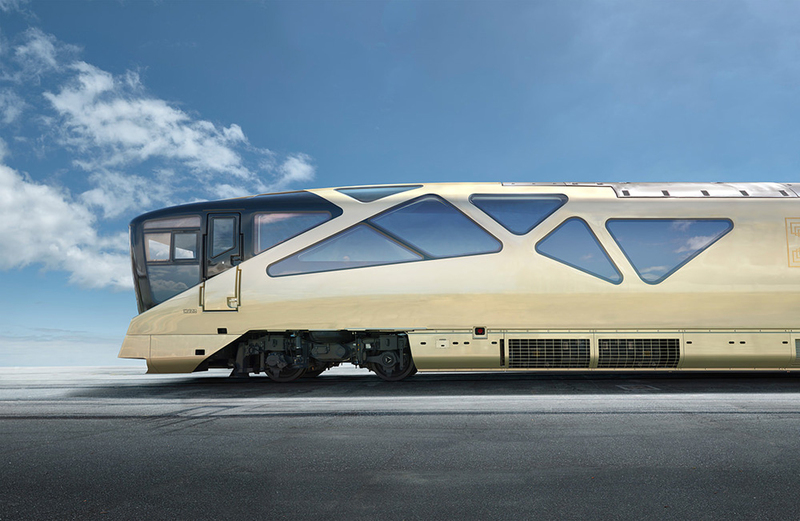 The train suite Shikishima uses artistic techniques that have been a part of eastern Japanese culture of generations, whilst also nodding to oriental landscapes with an interior aesthetic that’s reminiscent of a quiet, tree-lined forest. 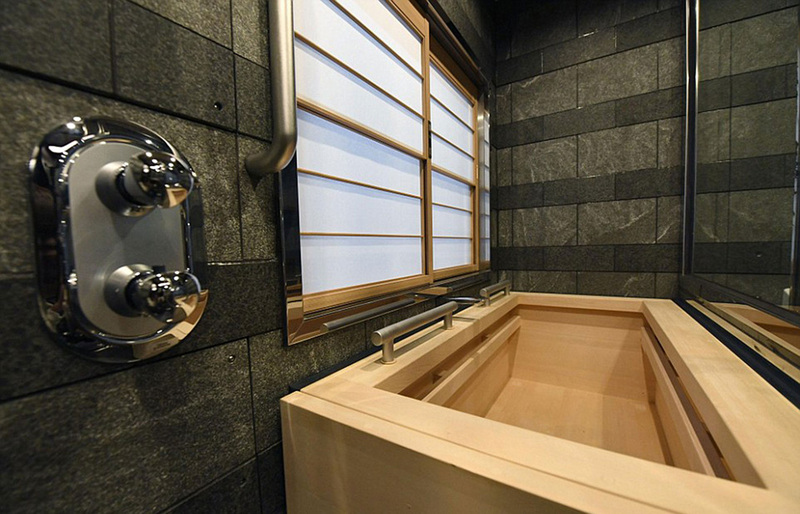 The Shikishima suite room comes complete with a flooring of tatami mats, while cypress bathtubs over the riders a fragrant bath mid voyage. 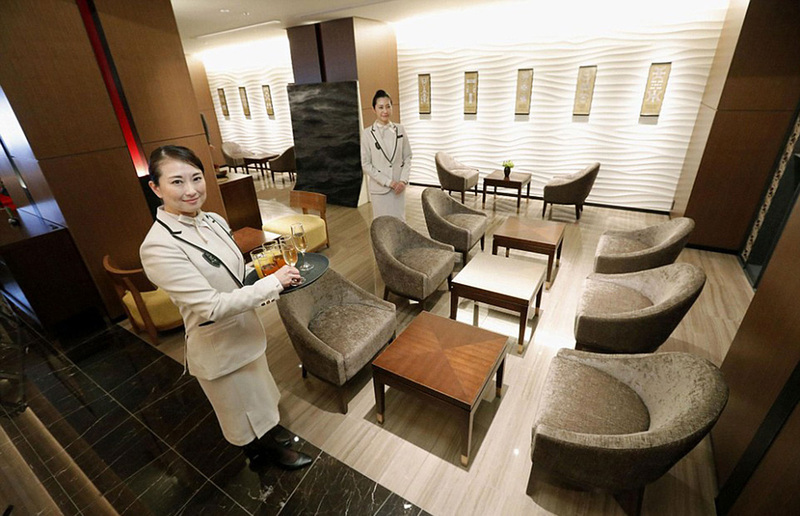 Guests are even attended to by staff kitted out in custom-made uniforms designed by Uniqlo creative director Naoki Takizawa. Okuyama nods to Japanese artisanal crafts with his use of bentwood—made by curving wood with steam—to frame the sofas and seating. 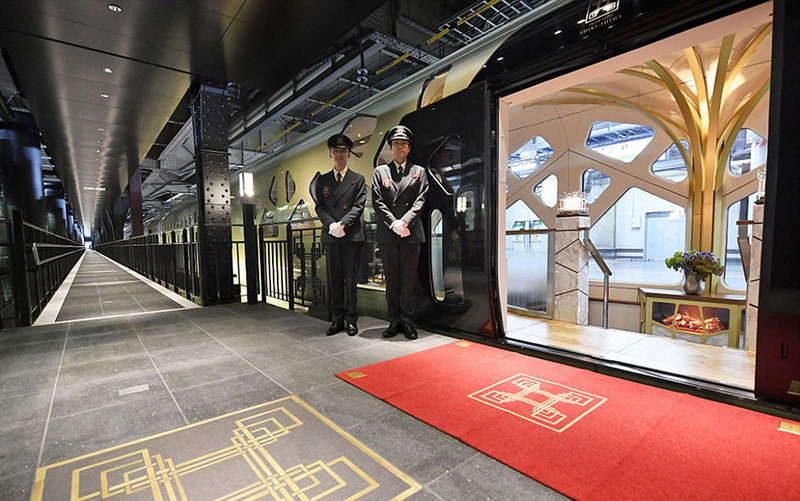 Meanwhile, oriental carpet mills takes car of the design under foot, using their signature ornate carpets that can already be found in the Vatican palace and Kyoto state guest house. 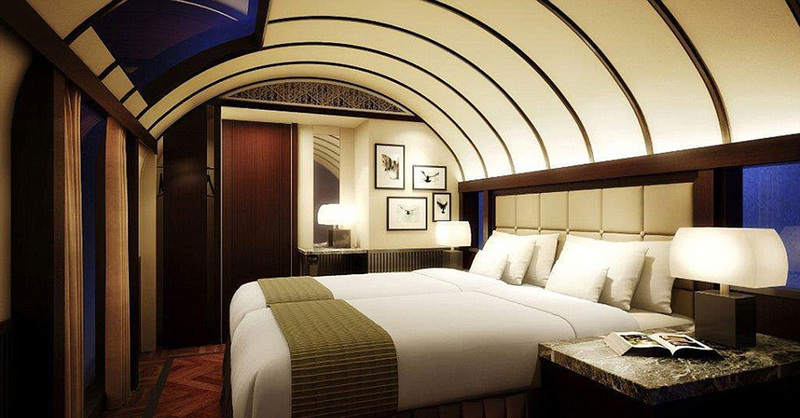 The train consists of 17 rooms in total, with two large suite rooms and 15 smaller ones. 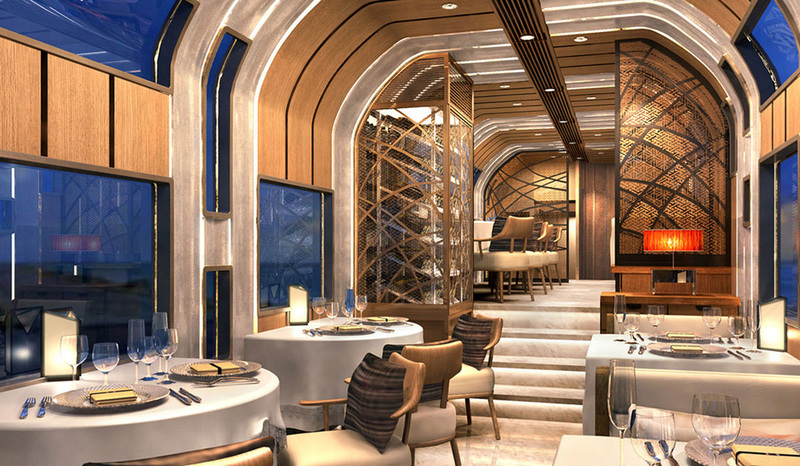 JR east, the rail operator behind the luxury masterpiece, seeks to provide “a high-grade space” that is currently unseen in existing railway journeys. 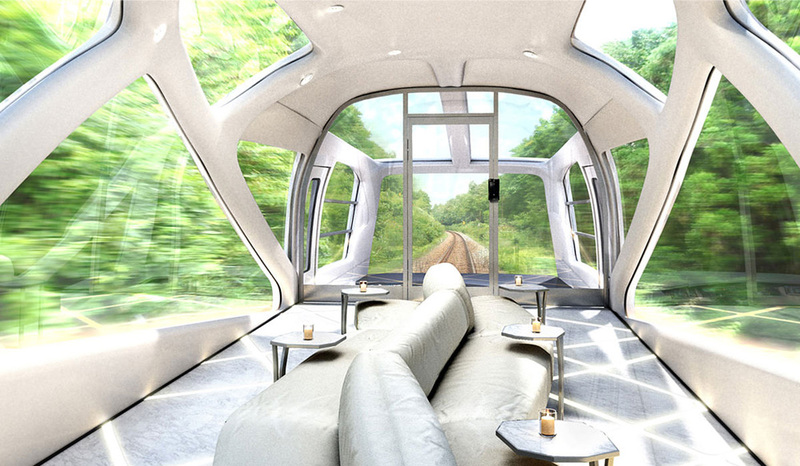 far from distracting guests from the natural scenery outside, the train suite Shikishima incorporates the outside world into the experience of riding the luxury vehicle. 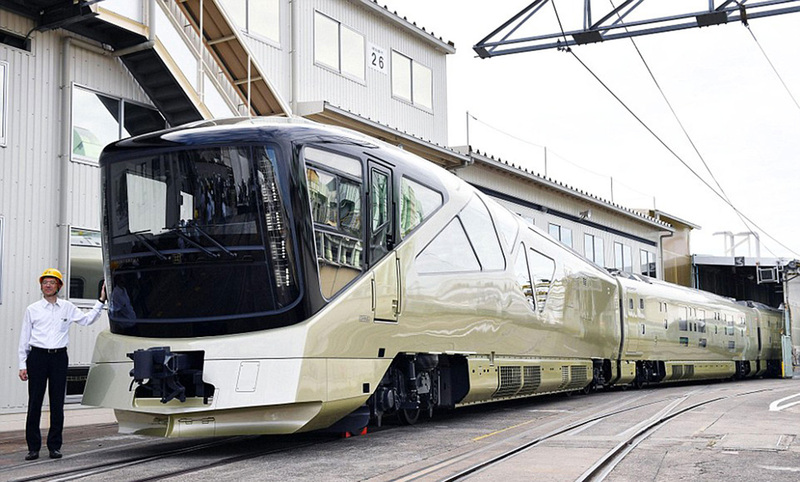 With specifically designed glass “observatory cars” at the front and rear of the train, the ride offers up a panaromic view of eastern Japan’s diverse landscapes. 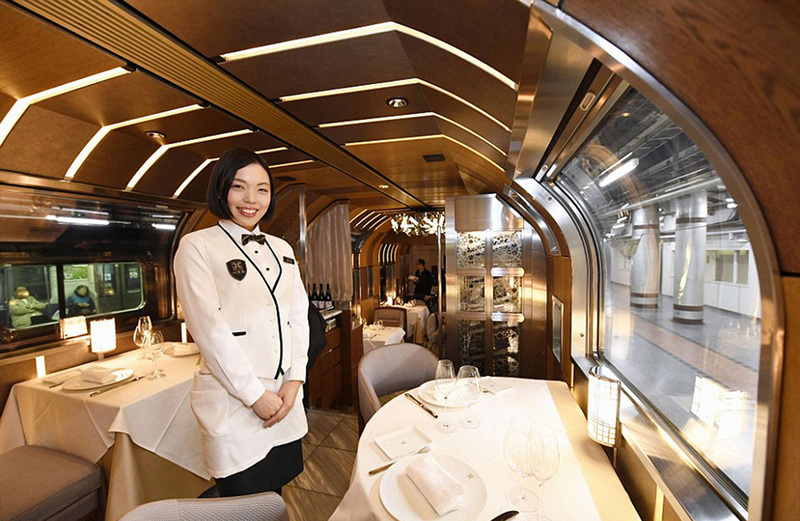 The journey even comes complete with a culinary experience influenced by the areas through which the train travels, using seasonal food from the local regions to be eaten with silver nikel cutlery created by Yamazaki Kinzoku Kogyo.